Staying in the Star Luxury Boutique Hotel in Marrakech Riad of Charm Al Ksar with Spa & Pool during a holiday break and Let it Go is a real Pleasure. Enjoy our Taylormade 4 Stars Services at affordable rates: Private Spa, Bar Restaurant, Activities and Excursions. In order to Live a Unique Luxury Stay, Particular attention has been paid to every details in term of Interior Design, development of the private or common spaces (pool, spa or terrace..) or the Menu of the Bar and Restaurant. 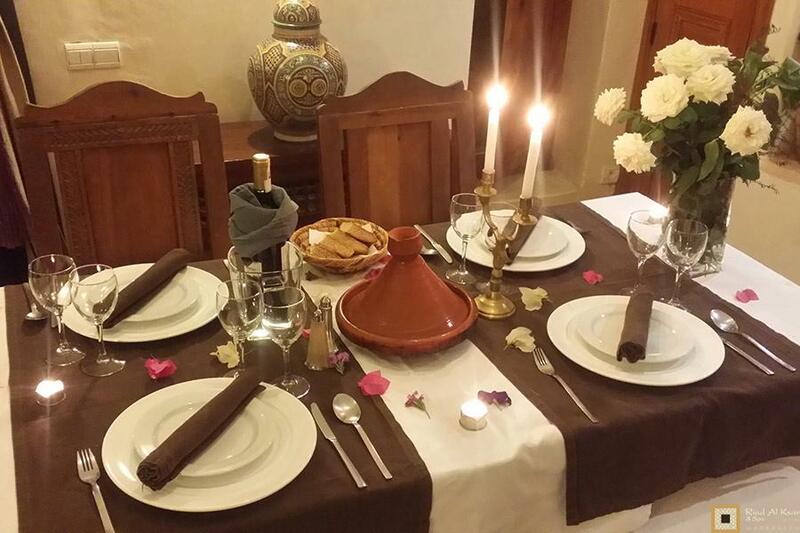 Quality Features and a Luxury Dedicated Hotel Service are proposed, in a discrete way and far from ostentatious price sometimes charged in Marrakech. Ideal for Solo travelers, Couples or Family, the Hotel Al Ksar makes Luxury Affordable by providing facilities and high quality services at designed prices to allow you to have fun without breaking the bank. The monumental Architecture of the Hotel Al Ksar is typical of the Riads, these Garden Houses with vegetal courtyard and fountain. It gives the hotel a unique Exotic Luxury Atmosphere. The design of our Star Luxury Boutique Hotel in Marrakech, with sand colors and pastel ceramics, is resolutely sleek, in a restful and peaceful atmosphere. A large part has been left to the Moroccan Taylor made Luxury Craftsmanship. 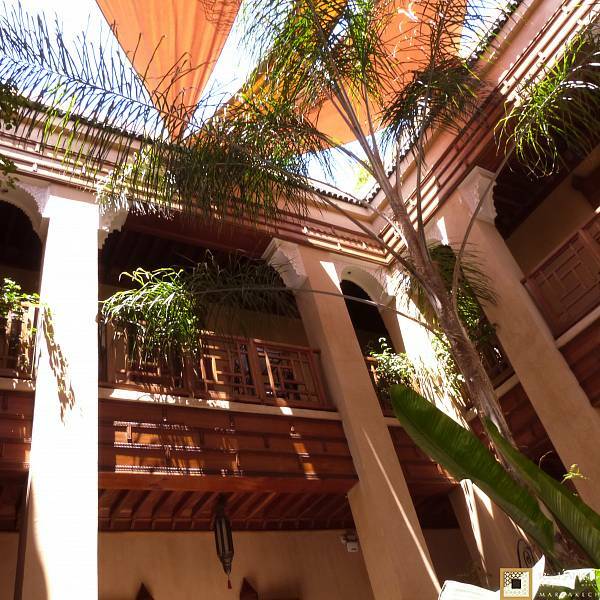 The terrace of the Riad Al Ksar has been appointed as a garden on the Rooftop, with lush vegetation composed of bamboos, papyrus, palm trees, cactus, orange trees and olive groves or bougainvillea and hibiscus. In total contrast with the tumultuous Medina, you can enjoy the peace and quiet of the terrace, during the day, under shade protecting of the sun, as well as during the night, under the Stars with its currents of refreshing air. The Bedrooms of the hotel, articulated around the traditional Central Patio with Trees, on the ground floor and 1st floor of the House, back to the same elements of Decoration of Sleek Luxury with traditional material: limestone painting, washed out Colors, natural fabrics of Linen and Cotton, tailor-made furniture’s in Cedar wood of Morocco, conferring a sense of tranquility to the whole of the building, that is conducive to the relaxation and rest..
Those rooms are also equipped with modern comfort of Luxury Hotels: Wi-Fi, XL Laptop Safe, Air Conditioned, Floor heating and amenities of quality such as storage spaces and soundproof doors. 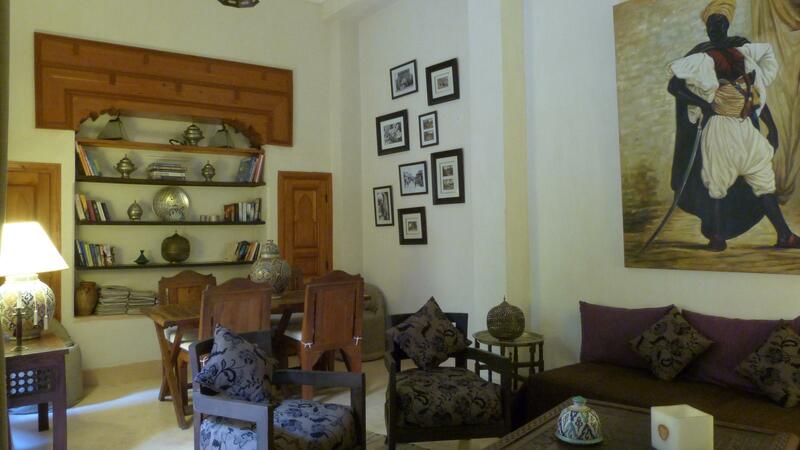 Once inside the Al ksar, tranquil feeling sets in and you can enjoy the Luxury Ambiance of a house with pool and spa, to discover with your family, with friends or as a single traveler. 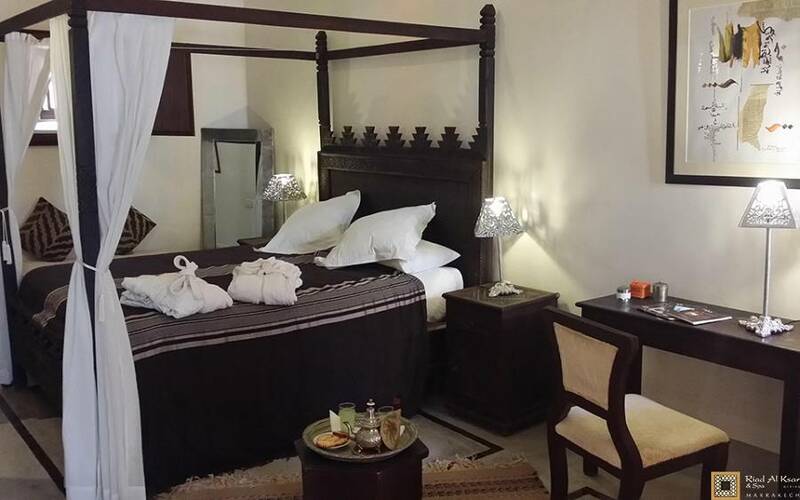 The Hotel Al Ksar proposes Bedrooms with Breakfast, Half board or Full board meal plans, with an excellent restaurant service, from 8h30 to 23h, including Snack Bar and Restaurant. On advance reservation when you rent your hotel room, or on-site on arrival, you will have the freedom to choose the best catering formula for your stay. A Luxury Concierge Service is proposed by the team of the Hotels Al Ksar & Spa in order to organize your external activities, shopping’s and nightlife events in and around Marrakech by simple request at the reception of the Star Luxury Boutique Hotel in Marrakech Riad Al Ksar & Spa. The Spa & Pool are accessible 7 days a week. Spa is opened from 10am until 6pm, by appointment. The Pool is accesible for Free from 10am until 10pm.